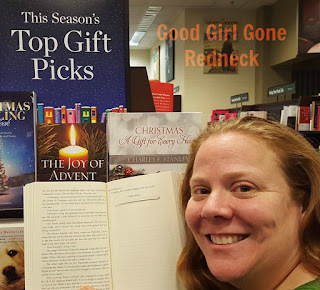 Good Girl Gone Redneck: 2015: I'M IN ALL THE BOOKS! 2015: I'M IN ALL THE BOOKS! I would like to share a little bit with you all as we wrap up the year. 2015 has been quite an incredible year for me. I've taken some big leaps and submitted my work to more and more places. I'm extremely proud to share that I have been published in five books this year. The first book I saw my name in came out in late April - just in time for Mother's Day. My story, My Little Squishy Face, is - as you may have guessed - about my daughter. As I imagine might happen with first stories, there are a few small bumps throughout this one, but I was beyond thrilled to see my name in print for the very first time. In Mom For The Holidays I'm talking about Chanukah. My preparation, how I often find it connected with Christmas, how our holiday lights blink blue and white AND red and green. How I spend every year looking for last minute ways to wrap gifts and tend to reuse the same bag for all eight nights of the holiday. Oh - wait - I think I just sold myself out there - that's not in the story. *wink* I hope you'll enjoy these few words that celebrate the joy that is the holiday season - whatever you celebrate. 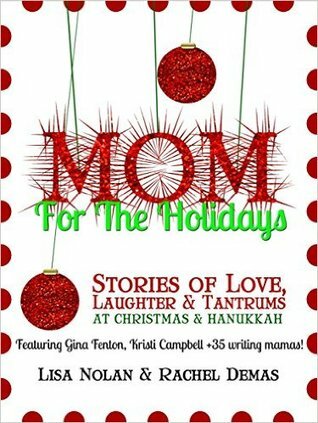 A Jewish woman published in a Christmas book - the irony is certainly not lost on me. When I shared this with my friends and family the reaction was as I expected. Many laughed at how that was my big break (so-to-speak). As did I. While this was the third book I found myself included in this year, I have to confess it was the most incredible feeling. First - it's a series that is recognizable. 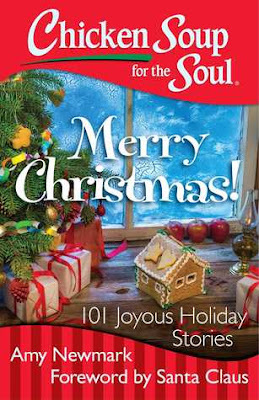 I mean, who doesn't know about the Chicken Soup for the Soul books, right? And then - then - omgaaahhhhh. This. Look. At. This. I saw my name in print at Barnes and Noble. People - this was huge for me. I had few words. I might have screamed on social media and done so in ALL CAPS. Because. ME. IN A BOOK. AT BARNES AND NOBLE. WOOT! 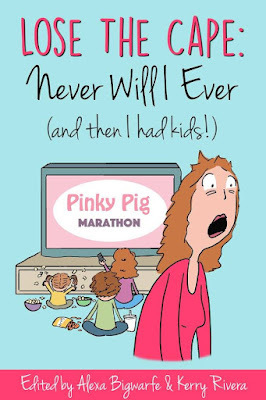 Before I became a mom I had all these ideas of how life would be like with kids. I knew what I would do with my child. And I knew what I'd never do. 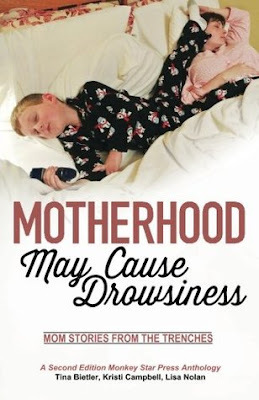 I mean - I couldn't even imagine doing all those things that other moms did. Not. At. All. You know the mindset. The whole - Never Will I Ever thought process. We all had it. Enter, my daughter. My colicky, screaming, crying, forever nursing daughter. And yeah. I did all those things and more. As did the other parents in this book. It's a great read. I hope you'll look into it. This story is about an incident I experienced when I was in my teens. It was certainly scary - but - as you can all see - I survived. I share what it was like, what I was thinking, and what I felt during those few short moments that felt like an eternity. 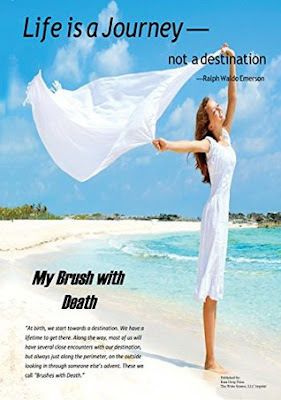 My piece in My Brush With Death is a quick read - and hopefully not triggering in any way. I have not finished reading the whole book because my head has been in a zillion places as the holidays come and go. But I look forward to all of the stories. And I'm thrilled to be a part of this compilation. So - there you have it - 2015 wraps up with me having my very own author page on Amazon. Squee!!! Crazy, isn't it? I've got a few pieces out hoping to be accepted to books in the coming year. And one that I think is already a go. I appreciate your support and love as I take more steps towards finding my way on this journey. Who knows, maybe one of these days my post will be entirely about a book that I've written on my own? That's been a goal of mine since before I hit double digits. What's your dream for the new year? Let me know in the comments below. I'd love to hear from you - support you - and encourage you to throw it out into the universe, put the hard work behind it, and who knows? It might happen. Allow me to encourage you to dream - and to encourage you to work hard, kick some booty, and find your way to all you've hoped for. I hope I'll be riding that same train with you. This is freakin' awesome!!! Congrats!!! This is so exciting, Andrea. You have worked so hard and have a great voice, with moving stories. Love that the universe is recognizing that!! Can't wait to see what happens for you in 2016. This is amazing, Andrea! What a wonderful accomplishment. Here's to a great 2016. Hope to see you in the new year! I had a long post but it was ate! Wow and wow! What awesome accomplishments! I'll have to play catch up and read back further on your blog. So very proud of you!